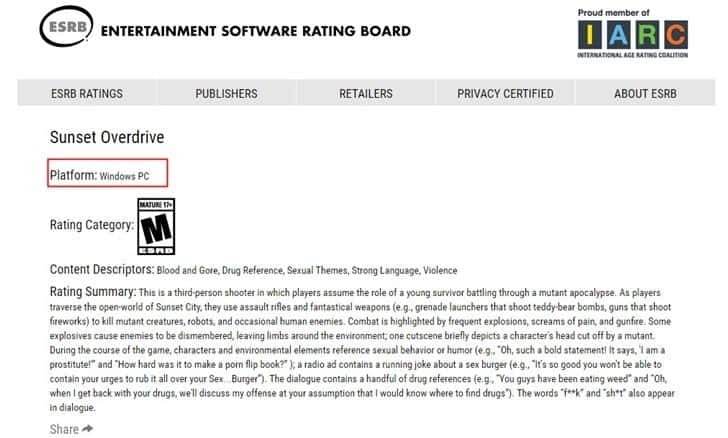 Sunset Overdrive PC version has been rated by the ESRB. The game was originally released back in 2014 for the Xbox but it seems that Microsoft could be bringing the game to PC. In the past couple of months, Microsoft has been trying to unify the PC and Xbox platform into one. This is not the first time that we have heard about Sunset Overdrive PC. A while back we spotted a listing on a Korean rating board website as well. It has been rumored to release on PC for a while not and fans have been asking for it too. We might get what we asked for after all this time. We are passionate about that franchise, and we own it, so you may see more Sunset in the future from us. No promises, and no timeline to speak of, but it is something that represents our willingness to create unexpected experiences. 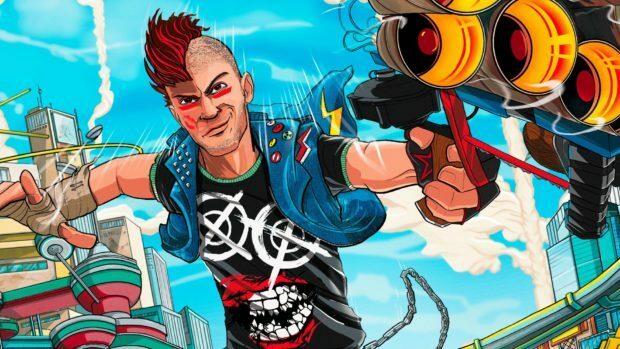 Recently Insomniac became a bit more vocal about Sunset Overdrive 2 and the devs mentioned that they would love to make it. Insomniac mentioned that this is an opportunity to deliver something better than the original game. While we wait for that to happen I am sure that fans would love to play the original Sunset Overdrive on PC.